Welcome to the July eNews! It’s a big month – NAIDOC Week kicks off this weekend. Under the theme “Because of Her, We Can!” NAIDOC Week 2018 will be held nationally from Sunday 8 July and continue through to Sunday 15 July. Find out more and about events happening around the country here. On 12 July, 1971, a new flag flew proudly over Australia as the red, yellow and black Aboriginal flag was hoisted in Adelaide’s Victoria Square for NAIDOC day (National Aboriginal and Islanders Day Observance Committee day). Read more about this historic event here. Check out more news and events you can get involved in below! Victoria has passed Australia’s first treaty bill, setting up a path for the government to one day ratify agreements with Aboriginal people. The Advancing the Treaty Process with Aboriginal Victorians Bill 2018 passed the Legislative Council on Thursday, June 7. It allows for the creation of a representative body, elected by Aboriginal Victorians by mid-2019, that will help design the treaty negotiation framework. Photo: Students at Wesley College St Kilda adding thumbprints to the ANTaR treaty scroll after a talk by ANTaR volunteers. ‘Victorians for Treaty’ is ANTaR Victoria’s latest campaign. 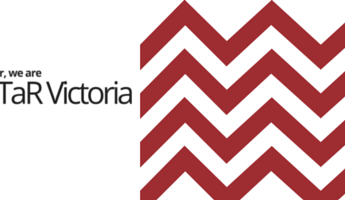 The action aims to educate non-Aboriginal Victorians about the treaty process taking place between Aboriginal Victorians and the state of Victoria. “The success of the Treaty process requires non-Aboriginal Victorians to support and understand the legislation,” said Co-Chair, Brigid Knight-Braniff. In order to promote Treaty, ANTaR Victoria will publish material about the Treaty process and the historical and cultural context in which it has taken place. Treaty discussions will take place around the state in the coming months hosted by ANTaR Victoria, government and other organisations. Read more about this exciting new campaign on our website! The Australian Electoral Commission has ‘unanimously agreed’ to rename the federal seat of Batman in honour of Indigenous rights campaigner William Cooper. The boundaries of 22 electoral divisions will also be modified. Read more about it here. The annual Flag Raising Ceremony officially marks the beginning of Vic NAIDOC Week. It brings members of the community together to publicly commemorate the importance of Vic NAIDOC week. The event honors connection to culture, country, and language of all Aboriginal and Torres Strait Islander peoples with a Smoking Ceremony, Welcome to Country and a moment of silence for our people who have gone before us. Join us for the pre-march festival from 9am for food, juice, coffee, banner making, face painting, musical entertainment and Indigenous stall holders. The March will commence at 11:45am from Victorian Aboriginal Health Service (VAHS) and conclude at Federation Square. We welcome all people, councils, organisations, and businesses to come and march with us. Baggarrook is Wurundjeri for ‘woman’. This year’s NAIDOC theme, ‘Because of Her We Can’, focuses on the importance of Indigenous women in our communities each and every day. The role of our women will always be a sacred and special one of the highest importance. Join us for this one-night-only special event celebrating the talent of our women. We will be showcasing many of Naarm’s emerging women poets and musicians amongst our community. The day includes Emu feather crafts, boomerang painting, jumping castle, face painting, football clinic, Hip Hop dancers, bush animal weaving, BBQ lunch, cultural performances and much more. We invite you, your family and friends to join us for a fun filled day of music, dance, cultural and children’s activities, as we celebrate Aboriginal and Torres Strait Islander culture. Artists: Paola Balla, Ali Gumillya Baker, Hannah Brontë, Miriam Charlie, Amrita Hepi, Nicole Monks, and Kaylene Whiskey. From fashion, interiors, and product design to landscape, architecture and town planning, the exhibited projects will interrogate how Indigenous design is defined, received, and made visible in Australia’s contemporary design landscape, asking the question, what is meaningful Indigenous design and why does it matter?